It feels fitting that my last review of the year would be of a JRPG. As a year where the JRPG not only sustained its healthy niche, but pushed right back into the mainstream gaming community, 2017 has been one where I haven’t stopped playing very, very long games indeed. Romancing Saga 2 is as low-pressure as the genre goes, and it is indeed a game I’ve already played thanks to the initial mobile release (though I never did play the original version back on the Super Nintendo), but I’ve loved having this on the Nintendo Switch. 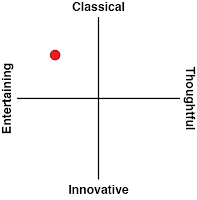 It’s a near perfect example of the classical Square Enix quality. Romancing Saga 2 is to JRPGs what fairy tales are to literature; as close to the definition of “classical” as you can get. It’s a story of castles and mighty lords, selflessly doing deadly dangerous things to protect both nation and people. 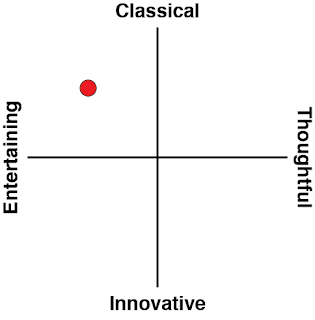 It’s a game of pixels and classical JRPG musical riffs. It’s a remake of an old SNES game, but where Square Enix has worked overly hard to modernise its classic games through their remakes in the past, this is one where the company was content to leave it looking and feeling like a game on the Super Nintendo, and it is the better for it. The game doesn’t even have enough dialogue and plot development for its narrative elements to shift from quaint to archaic dross; this is a game that’s about dungeon crawling and combat, and it doesn’t give you long to breathe between those moments. On the iPhone this wasn’t an issue in the slightest. Indeed, the game genuinely felt native to that device. The whole point of iPhone gaming is to be applicable for short bursts of play. A game with hours of layers of dialogue to work through wouldn’t fit that platform at all. On the Nintendo Switch, however, it must be said that Romancing Saga feels shallow. Sitting in the same library as modern classics like Xenoblade Chronicles 2 and I Am Setsuna, there aren’t many JRPGs on the console just yet, but what is there tends to be of a very high storytelling calibre. Romancing Saga 2 feels more like the kind of game you’ll have on the Switch for short bursts of play in handheld mode, but not something that you’re going to want to sit with on the big TV for hours on end (even though the pixel art is just gorgeous. 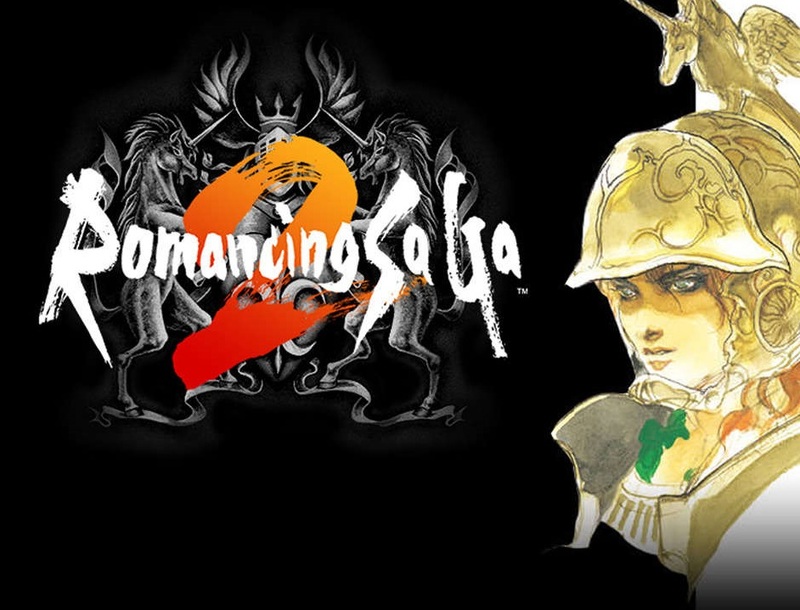 That being said, played in the spirit that it was designed makes Romancing Saga 2 a really valuable addition to the Nintendo Switch library, especially for JRPG fans like me who might find themselves with a short commute and not enough time to get enough done in something like Xenoblade Chronicles 2 to make it worthwhile. 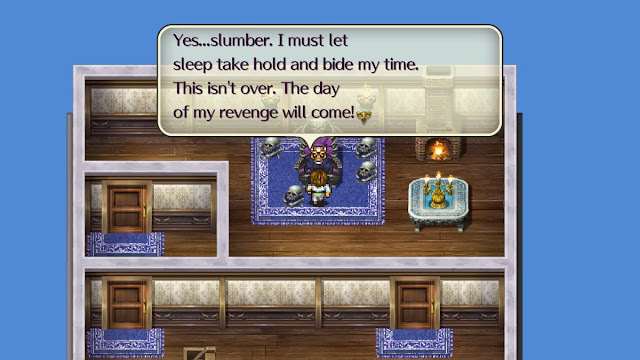 Romancing Saga 2 might be shallow – or limited, if you’d rather – but it’s by no means stupid, and there’s a hint here and there of some subversion to the genre norms that I found appealing. In just about every Final Fantasy game, your role is to command a group of heroes (often explicitly termed the “heroes of light”) and go on an epic quest with which to defeat a great evil. Romancing Saga 2 flips this on its head immediately by having one of its world’s “great heroes” command a bunch of monsters to attack a neighbouring kingdom. Your role is to play the monarch’s line of succession over a number of generations to combat against these so-called heroes. There are further twists and turns which keep things interesting, and so Romancing Saga 2 gets get away with its minimalist approach to storytelling by being just different enough to avoid being generic. 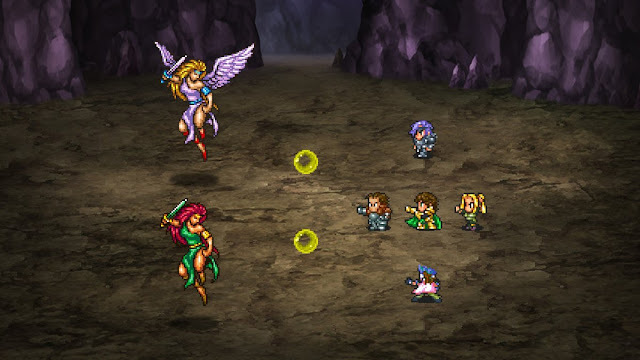 Combat is far less minimalist, and indeed Romancing Saga 2 has one of the more engaging turn-based combat systems that I’ve played in some time. There’s no levelling up, in the traditional sense. Instead, characters get more proficient in the skills that they use the most; bop a lot of goblins on the head with a mace, and your character will be better at that than they will slashing with a sword. Have you got one of your characters specialising in snipping enemies from the safety of the rear? Better hope that your group is not caught out of formation then, because that character won’t take damage so well. I’ve always been a fan of JRPGs that eschew the traditional experience bars to give your characters the chance to develop as you use them; it makes your decisions in terms of equipment and skills feel more meaningful then. The other really nice feature in the game is that each time a battle is completed, the entire party heals to full health. That might sound like a cheap way to streamline the game so players don’t need to retreat to towns to rest up, or buy dozens of potions to delve deep into a dungeon, but there’s more to it than mobile play friendliness. 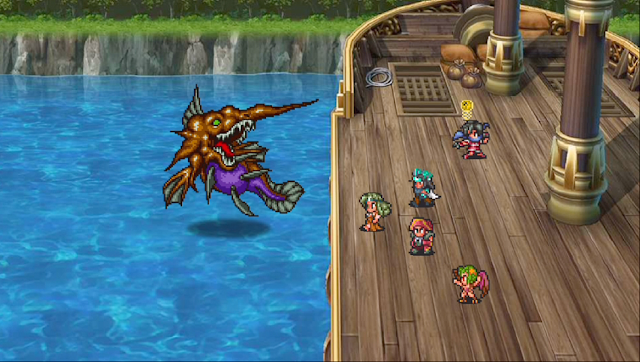 Because a party will always go into a battle fully healed, the developers have been able to make individual encounters more difficult. So often with JRPGs the only halfway challenging or compelling fight is the final boss battle, but here you’ll need to stay on your toes for most battles. On top of that, characters have a maximum number of times that they can be reduced to 0 health. There’s no need to use a special potion, or cast a spell, to revive characters – they’ll come back at the end of a battle, but with one fewer “Life Point”. If they run out of those, it’s the end of the line for them. This adds some nice tension to each battle, as each character is only one wayward strike from the enemy from being permanently dead. It also forces you to carefully select which enemies you target first; with those that can put your characters to sleep, stun them, or otherwise take them out of action for a time a far greater risk of creating an unlucky run that can knock a few LPs off your heroes. Romancing Saga 2 has another number of minor features around kingdom management, too, allowing you to make upgrades and enjoy the benefits of those from one generation to the next. We’re hardly talking about Sim City here, but it’s a simple, elegant way of reinforcing each main character’s role as a monarch. This is one of the more unheralded Super Nintendo JRPGs, but the update is of a high quality, and while I don’t think it’s a classic example of the genre by any means, it is still a very enjoyable game. A clean, enjoyable combat system, plenty of enemies to fight, and a bit of exploration and puzzle solving on the side; this is the kind of classic JRPG experience that I’ll never get tired of.